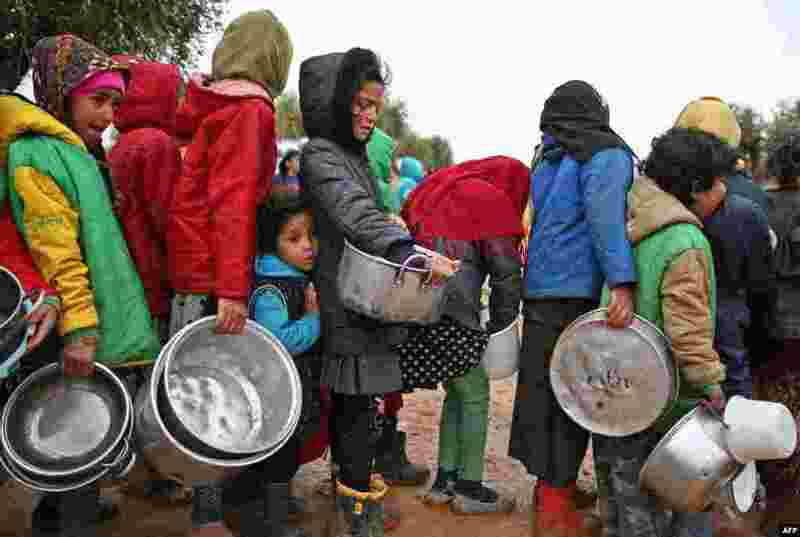 1 Syrian children queue to receive food distributed by humanitarian aid workers at a makeshift camp for displaced people, near the village of Yazi Bagh, about six kilometers from the Bab al-Salamah border crossing between Syria and Turkey in the north of Aleppo province. 2 Flames rage at an intersection in San Francisco, Feb. 6, 2019. 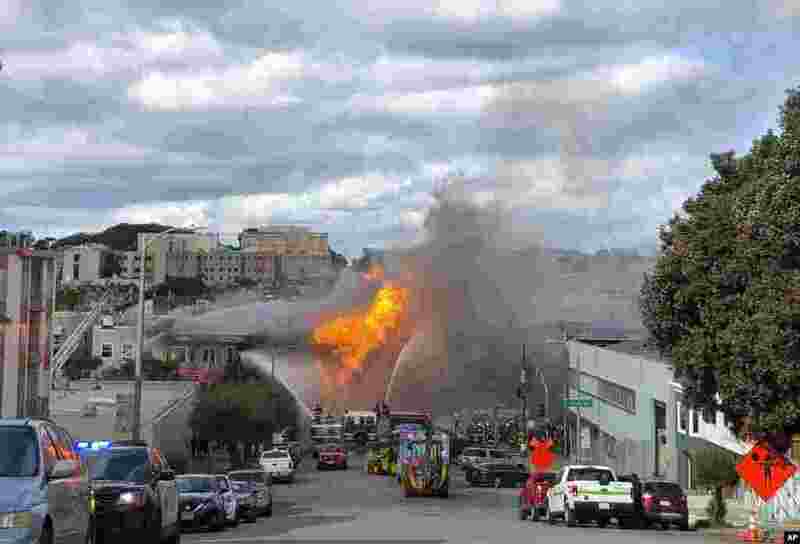 An explosion on a gas line has set at least one San Francisco building on fire and is sending huge plumes of fire and smoke into the air, prompting evacuations of nearby buildings. 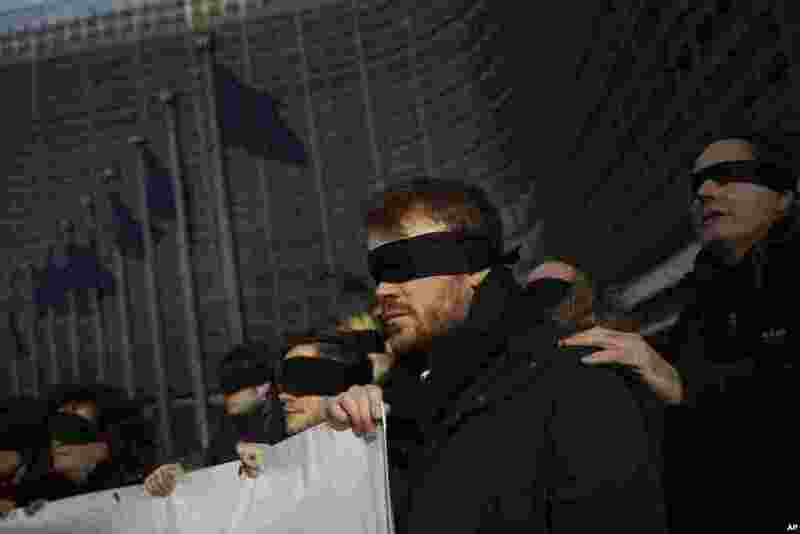 3 Blindfolded protesters against Brexit hold a banner outside the European Commission headquarters during a meeting between European Commission President Jean-Claude Juncker and British Prime Minister Theresa May in Brussels, Belgium. 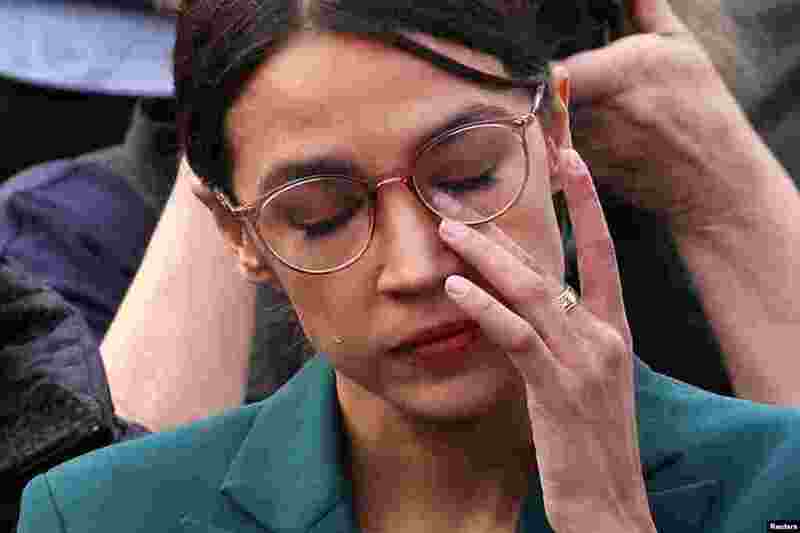 4 U.S. Representative Alexandria Ocasio-Cortez (D-NY) wipes tears as Representative Ilhan Omar (D-MN) talks about her own experience as a refugee during a news conference to call on Congress to cut funding for ICE (Immigration and Customs Enforcement), at the U.S. Capitol in Washington, D.C.